Everyone loves flowers: getting them and receiving them! Ever want to know tricks of the trade, like how to make that perfect spherical arrangement? 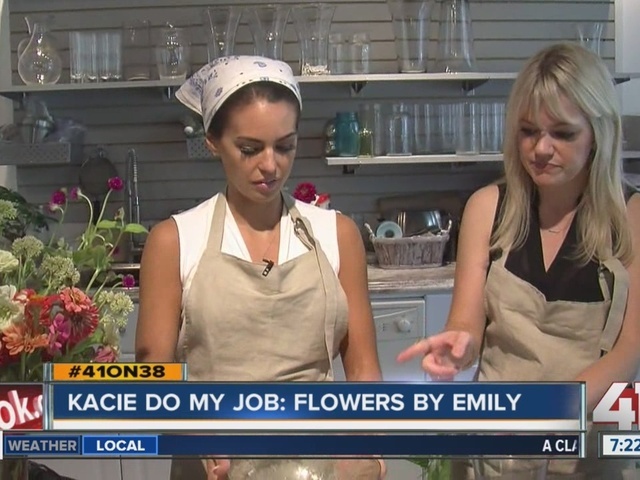 Well we went out to Flowers by Emily to find out. This job assignment was a lot like my pizza-making stint - I was seriously focused on the task at hand. I think it's safe to say food and decorating would grab a lot of people's attention. Back to the flowers: If it's a petite bunch in a mason jar or a flamboyant centerpiece that uses up all of the flowers in the shop, we've got you covered! WATCH the video to see more, and see all of my past jobs on my Do My Job page! Kacie McDonnell can be reached at kacie.mcdonnell@kshb.com .